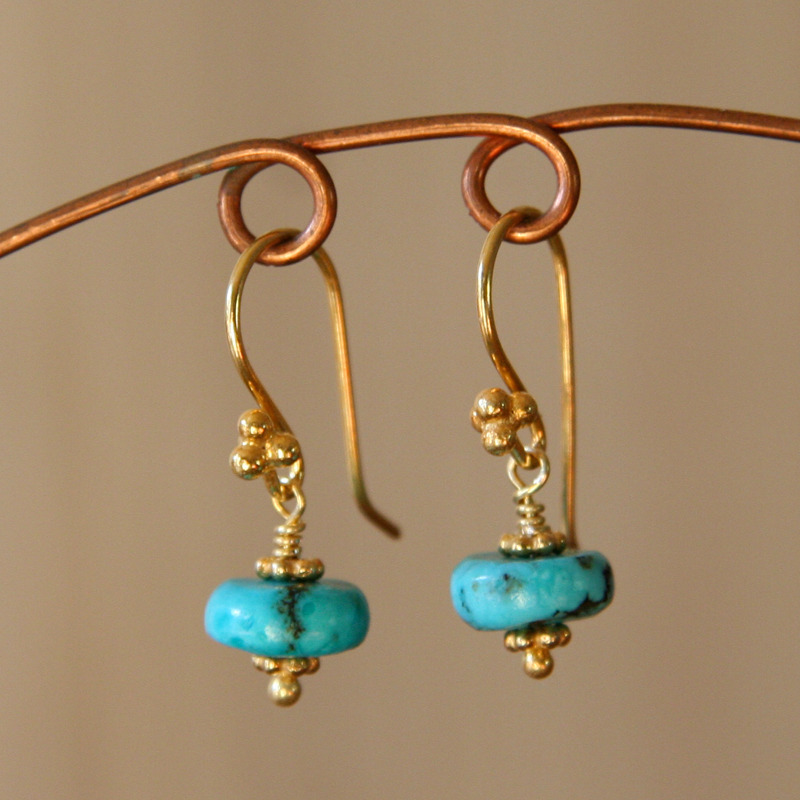 Turquoise disks and gold vermeil granulation beads combine to make these casually elegant earrings. Gold vermeil French earwires. Approximately 1 inch, including earwire. Gold vermeil is 24 kt gold layered over sterling silver. .......................................... Turquoise is considered to be a symbol of generosity, sincerity, and affection. It preserves friendships and can make friends out of enemies in time. .......................................... These earrings are hand-made to order. Slight variations are the nature of handmade jewelry and make each piece special. They will be shipped with complimentary organza gift bag. If you prefer a gift box, please specify in the Notes box at checkout. If you are purchasing a gift that you would like shipped directly to the recipient, I am happy to include a personal message from you. In the Notes box of the order form, mention "giftshipper" and include the text of your note.